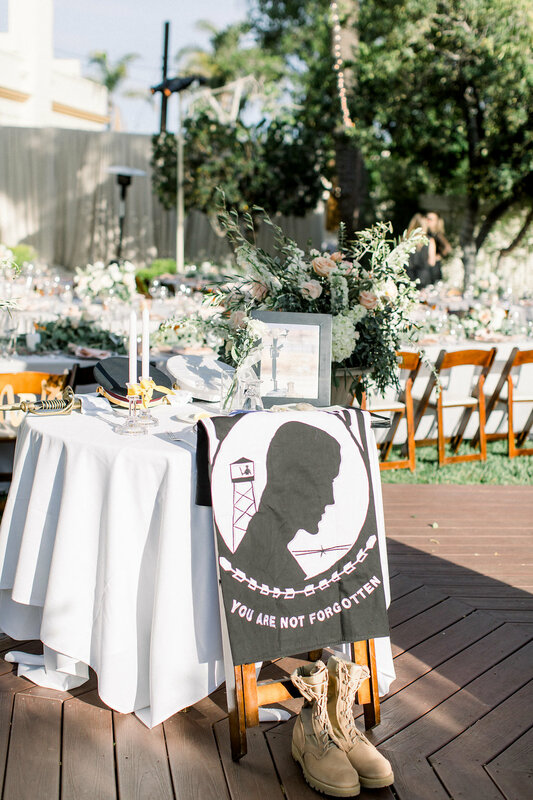 In an incredibly moving gesture on their wedding day, one California-based couple decided to honor members of their family and late loved ones who’ve served in the military with a thoughtful “memorial table” at their reception. 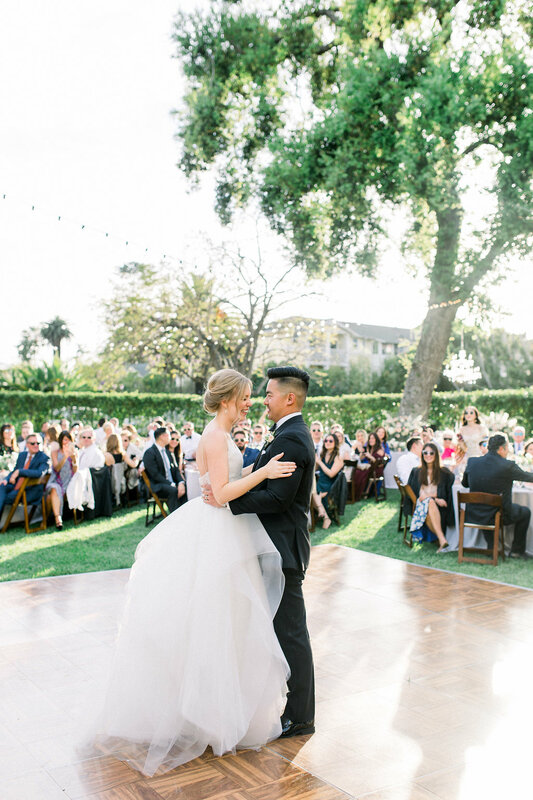 Stephanie Walters and Ryan Kim of Santa Clarita, California, have many close friends and family members who’ve served the country, including the groom’s brother, Raymond, as well as three of the groomsmen (one of whom has received a Purple Heart and another currently stationed in Japan). 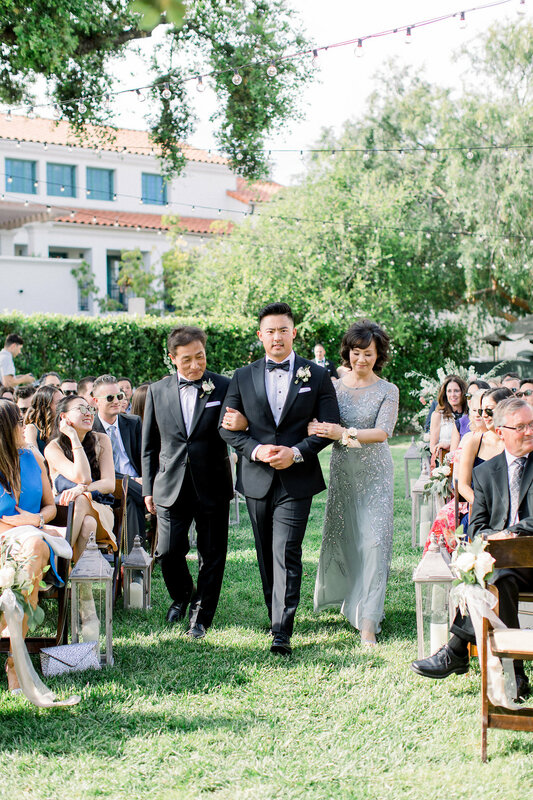 The couple, who first met through a mutual friend, wanted to spotlight their courageous acts of service with their nuptials. 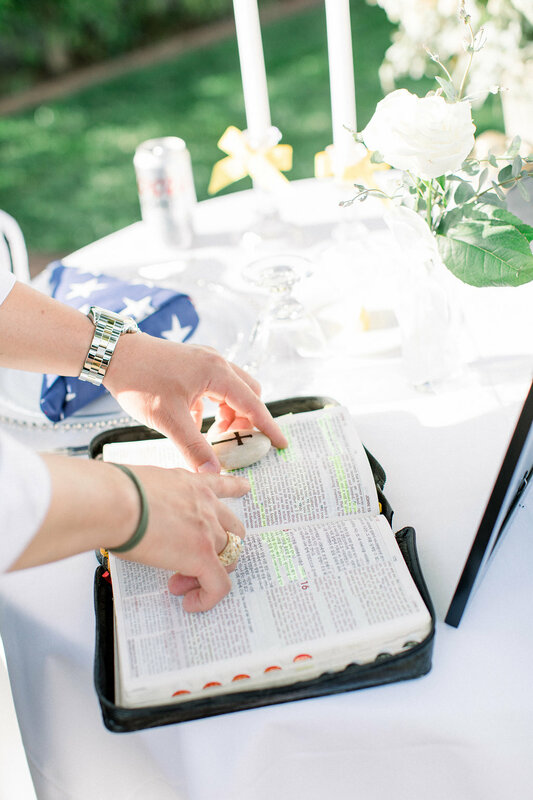 The bride and groom, with a desire to spotlight their American pride with their wedding, enlisting the help of planner Charley King from Bluebell Events to help execute the details. 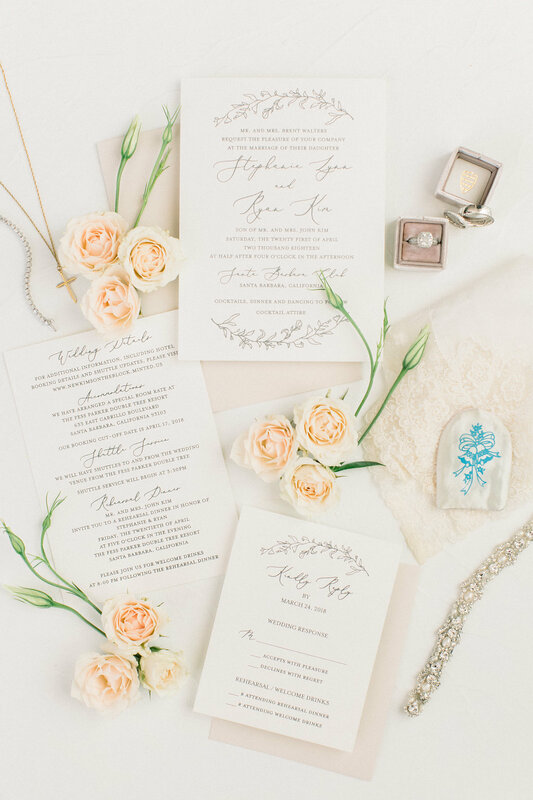 “My wedding planner did a phenomenal job helping me design the reception space,” muses the bride. 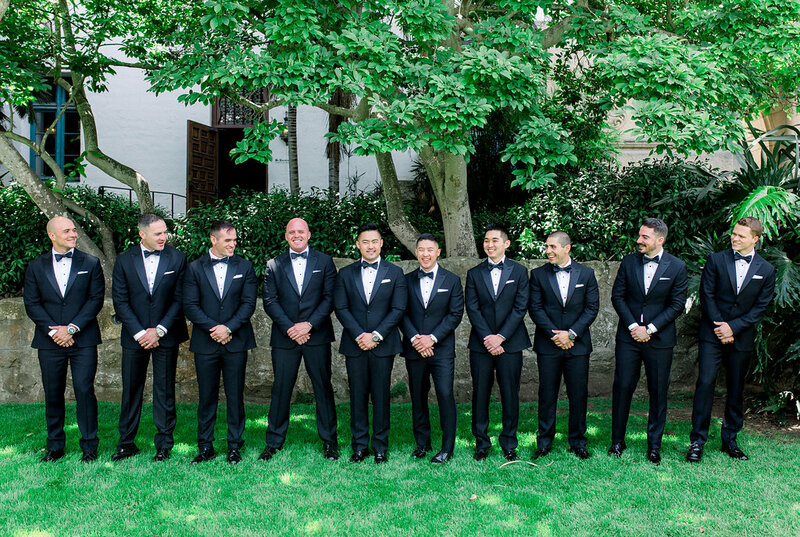 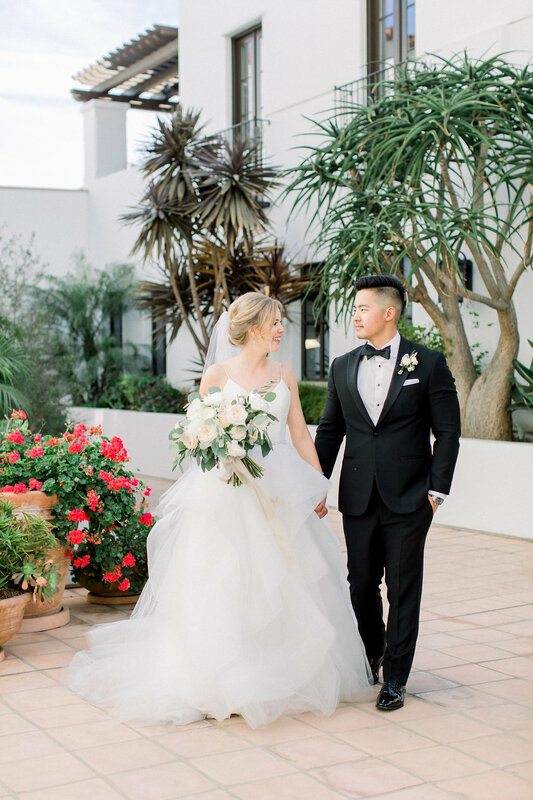 Of course, the wine enthusiasts also wanted to implement their favorite beverage into the symbolic day as well—having held such a significant role in their love story too. 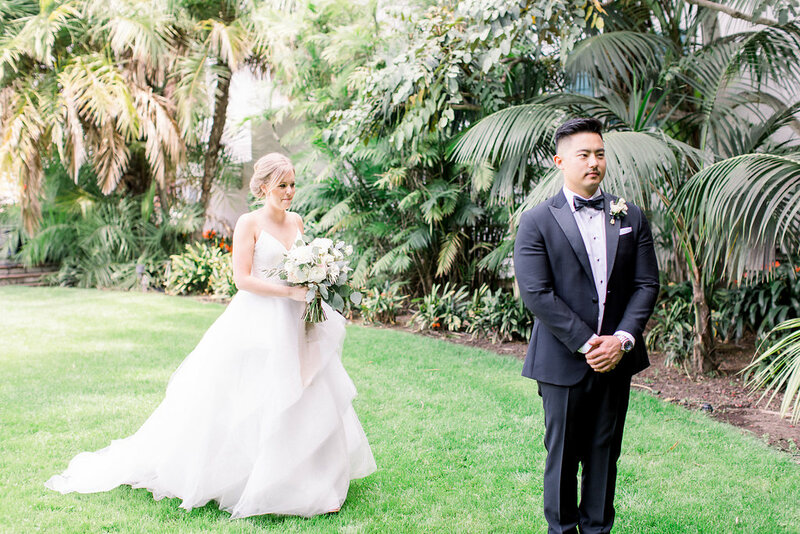 (Remember how he proposed!) 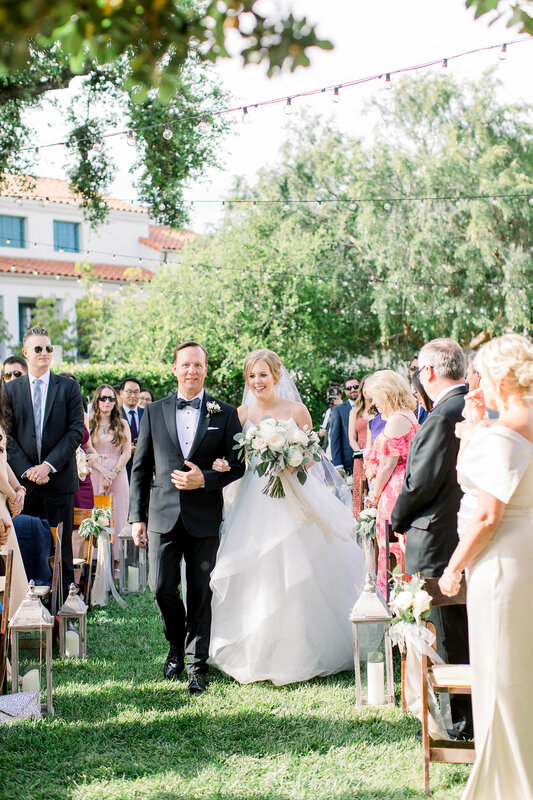 “We are big wine drinkers, so we had an area of the ceremony where our moms combined red wine and white wine to symbolize the two families coming together,” Walters adds. 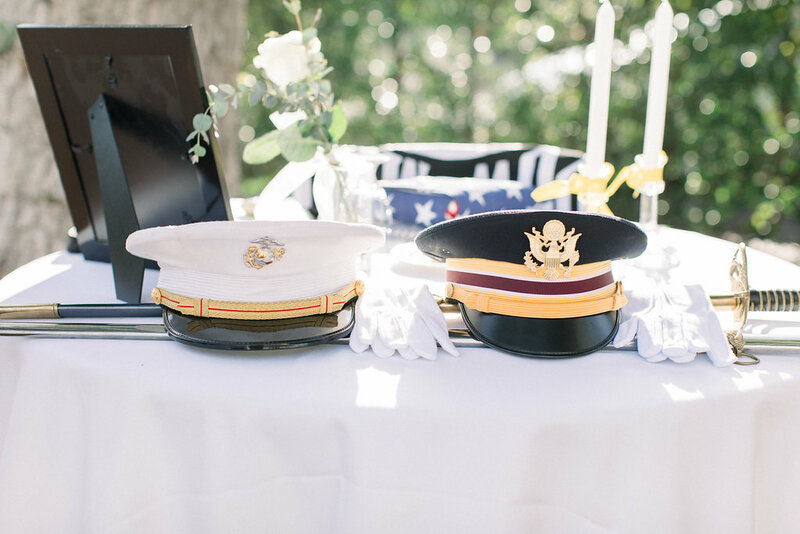 At the reception, the pair set up a table in memory of those who’ve sacrificed their lives for America. 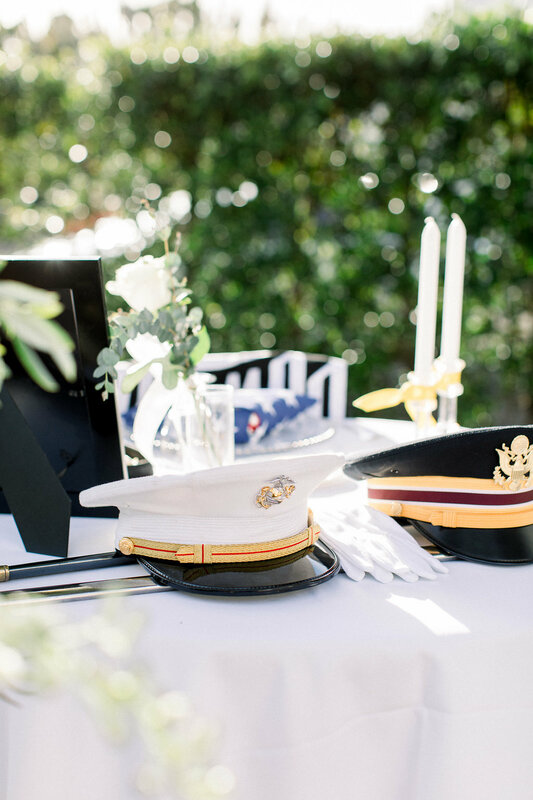 “It was to honor those who have fallen in the line of duty, and to show respect to our friends and family who have served,” the pair adds of the sweet and sentimental gesture. 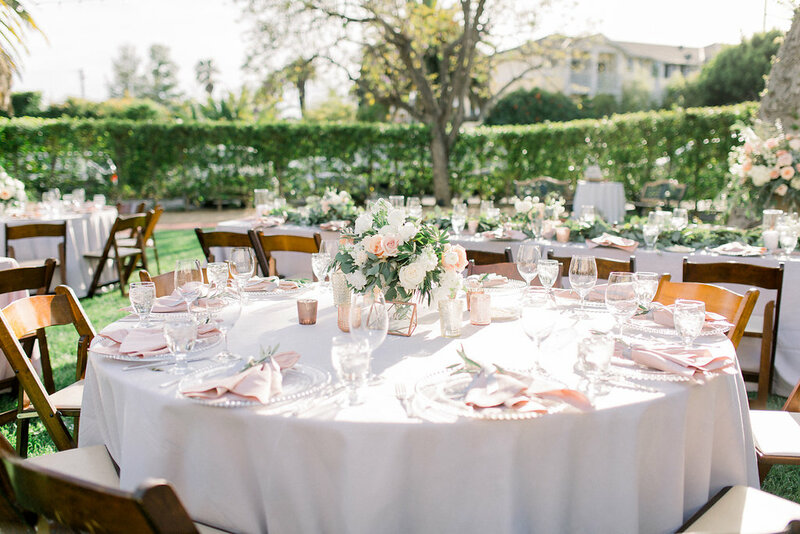 Looking to secure your perfect wedding day vision? 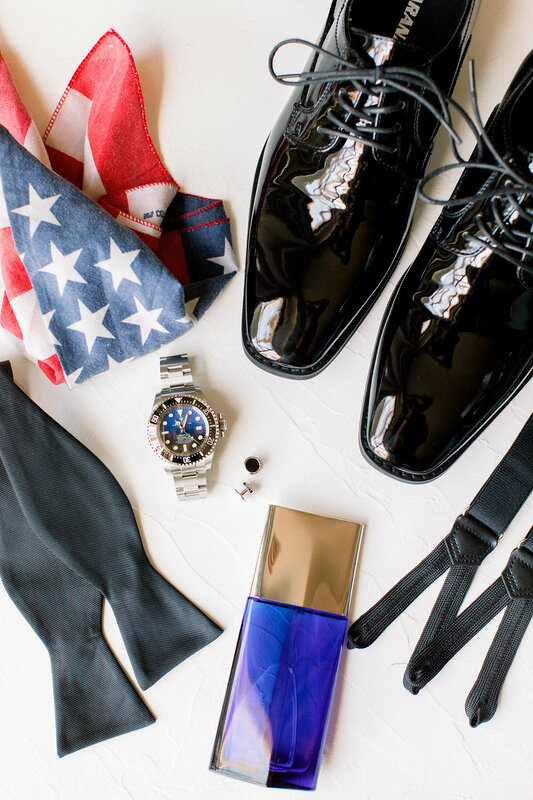 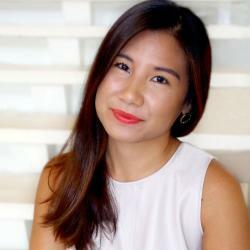 Start with The Knot’s Style Quiz here. 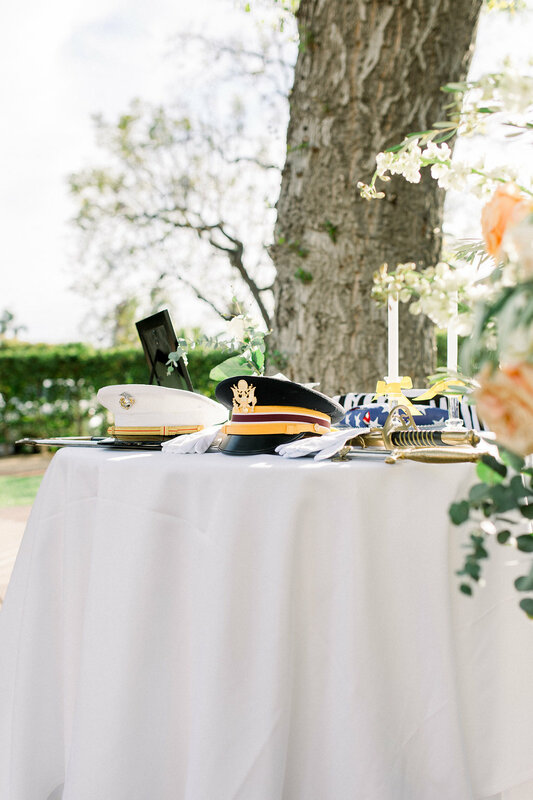 Be the first to comment on "Couple Honors Past and Present Military Family Members With a “Memorial Table” at Their Wedding"